How can Chertsey Locksmiths help you? We have a team of experienced locksmiths who are on call 24 hours a day. Our 30 minute Rapid Response Service ensures that we won't keep you waiting for too long. We handle, lock-ins, lock fitting, security surveys & more. If you're looking for a locksmith in Chertsey Surrey?... Call us today! Chertsey Locksmiths offer a comprehensive range of domestic security services in Chertsey, Richmond, Kingston, Guildford and the wider Surrey area. We're the people to call if you're locked out of your home (or if you're locked in). Our locksmiths arrive fully equipped to deal with almost any situation, whether it's an emergency or something more mundane. We specialise in non-destructive entry methods and this helps to reduce the overall cost of the service. Where locks or lock parts do have to be replaced, our vehicles are suitably stocked. We carry British Standard BS3621 locks as standard so all work meets the requirements of the Britsh insurance industry. We of course have other lock products which go beyond the minimum requirements of the insurance industry. 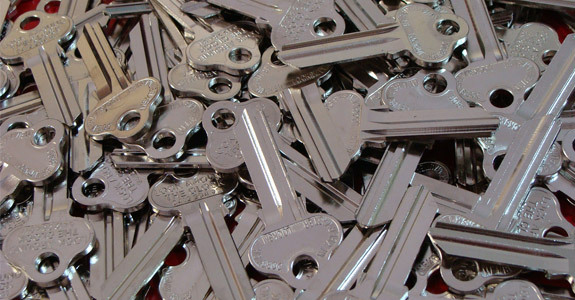 If you need spare keys cut, that's no problem - it can usually be done on-the-spot. Our lock engineers carry the latest key-cutting equipment so all but the most complicated keys can be produced within minutes. Our local locksmiths are despatched promptly according to their proximity to the customer's location. This allows us to reduce waiting time to a minimum. In most instances, we arrive within 30 minutes. It's also not just quick response times we deliver - most jobs are fully completed within the hour enabling you to get on with your day without too much delay. We offer a free security survey on any residential property in the local area. All locks on your doors, windows and outbuildings will be checked for their ability to resist burglary attacks. In addition, you'll be advised on other security measures such as CCTV cameras and nightlights. If you're looking for a "Locksmith Near Me" then call us on 01932 506 288 we can deal with all of your home security concerns. Business premises are frequently targeted by burglars and vandals since they are often empty at certain times of the day. If you're worried about the security of your premises, give us a call and we'll be happy to advise you. We can supply and install, gates, razor-wire, CCTV systems, intruder alarms as well as a host of other security devices. We have two dedicated commercial technicians who have both locksmith and electrical experience so the installation and maintainance of alarms and digital entry systems are properly taken care of. Don't leave your security in the hands of inexperienced workers or it could cost you dearly. In keeping with the service that we offer our residential customers, you may be entitled to a free site survey. Most small business aren't charged for this but if your premises are large, or assessment involves some other complicating factor, a small charge may be levied. Any costs will be discussed prior to the commencement of the survey, so if you're not happy with the arrangement you can cancel the survey and it will cost you nothing. We get a good feeling of satisfaction knowing that our locksmiths in Chertsey are making the area a safer place for business. If you're security minded and you're looking for a top drawer service, you can't go wrong with Chertsey Locksmiths. We're available 24 hours a day, 7 days a week. We believe that questions about security are best approached on the front foot. Why not add a Chertsey locksmith to your phone contacts? Do your research ahead of time so if you ever need a locksmith, they'll just be a phone call away. If you want one of the best in the business... we're here to help. As well as our first-class locksmith service, Chertsey Locksmith are able to provide a range of security products for both business and residential needs. 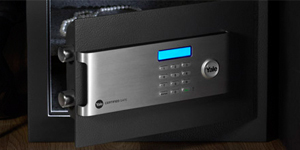 If you're looking for a safe, we can help you. This could be anything from a Eurograde domestic safe to a Jeweler's safe or a commercial safe for cash management. We supply a wide range of security related items at very competitive prices. Key to our superior level of service is our use of high quality, trusted branded products. We do not try to short-change the customer by using cheap imported locks. With Chertsey Locksmiths, you can be sure that you job is done to the highest possible standard. Give us a call - we'd love to hear from you! Get Your Free Site Survey! Don't take unnecessary risks with your home security. Give us a call on 01932 506 288 if you think that you're eligible for a free survey. Highly recommend these locksmiths in Chertsey. As an estate agent we regularly advise new home owners to change all locks when they move in. We continue to hear good feedback from our clients about these guys.